The Abolitionist famed for routinely bringing up the slavery issue against Congressional rules, and for his role later on in the Amistad case. 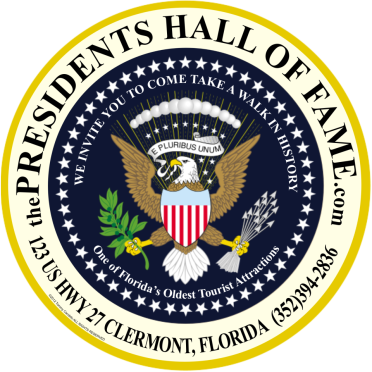 He is the only American President to be elected to the House of Representatives after his Presidency. The nickname gained currency as a result of his campaign against slavery waged as a Congressman, and as the attorney in the Amistad case. Died: February 23, 1848 (aged 80) Washington, D.C., U.S. Resting Place: United First Parish Church Quincy, Massachusettes, U.S.
Children: George Washington; John Quincy, Jr.; Thomas Hollis; Carolina; Charles F. Sr.
John Quincy Adams July 11, 1767 – February 23, 1848) was an American statesman who served as the sixth president of the United States from 1825 to 1829. He served as the eighth United States secretary of state immediately before becoming president. During his long diplomatic and political career, Adams also served as an ambassador, and represented Massachusetts as a United States Senator and as a member of the United States House of Representatives. He was the eldest son of John Adams, who served as president from 1797 to 1801. Initially a Federalist like his father, he won election to the presidency as a member of the Democratic-Republican Party, and in the mid-1830s became affiliated with the Whig Party. Born in Braintree, Massachusetts, Adams spent much of his youth in Europe, where his father served as a diplomat. After returning to the United States, Adams established a successful legal practice in Boston. In 1794, President George Washington appointed Adams as the U.S. ambassador to the Netherlands, and Adams would serve in high-ranking diplomatic posts until 1801, when Thomas Jefferson took office as president. Federalist leaders in Massachusetts arranged for Adams's election to the United States Senate in 1802, but Adams broke with the Federalist Party over foreign policy and was denied re-election. In 1809, Adams was appointed as the U.S. ambassador to Russia by Democratic-Republican President James Madison. Adams held diplomatic posts for the duration of Madison's presidency, and he served as part of the American delegation that negotiated an end to the War of 1812. 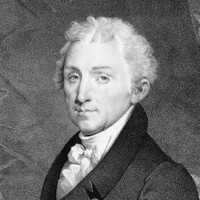 In 1817, newly-elected President James Monroe selected Adams as his secretary of state. 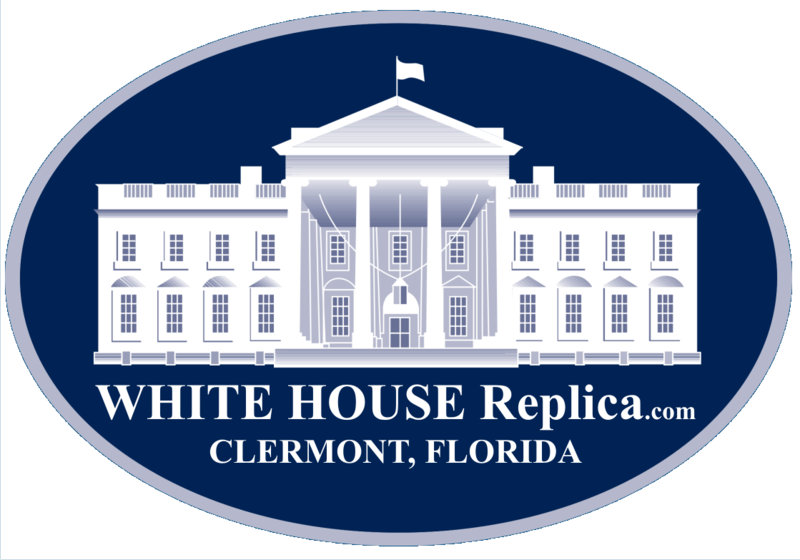 In that role, Adams negotiated the Adams–Onís Treaty, which provided for the American acquisition of Florida. He also helped formulate the Monroe Doctrine, which became a key tenet of U.S. foreign policy. The presidential election 1824 was contested by Adams, Andrew Jackson, William H. Crawford, and Henry Clay, all of whom were members of the Democratic-Republican Party. As no candidate won a majority of the electoral vote, the House of Representatives held a contingent election to determine the president, and Adams won that contingent election with the support of Clay. President Adams called for an ambitious agenda that included federally-funded infrastructure projects, the establishment of a national university, and engagement with the countries of Latin America, but many of his initiatives were defeated in Congress. During Adams's presidency, the Democratic-Republic Party polarized into two major camps: one group, known as the National Republican Party, supported President Adams, while the other group, known as the Democratic Party, was led by Andrew Jackson. The Democrats proved to be more effective political organizers than Adams and his National Republican supporters, and Jackson decisively defeated Adams in the 1828 presidential election. Immediately upon becoming Secretary of State, Adams emerged as one of Monroe's most likely successors, as the last three presidents had all served in the role at some point before taking office. As the 1824 electionapproached, Henry Clay, John C. Calhoun (who later dropped out of the race), and William H. Crawford appeared to be Adams's primary competition to succeed Monroe. Crawford favored state sovereignty and a strict constructionist view of the Constitution, while Clay, Calhoun, and Adams embraced federally-funded internal improvements, high tariffs, and the Second Bank of the United States, which was also known as the national bank. Because the Federalist Party had nearly collapsed in the aftermath of the War of 1812, all of the major presidential candidates were members of the Democratic-Republican Party. Adams felt that his own election as president would vindicate his father, while also allowing him to pursue an ambitious domestic policy. Though he lacked the charisma of his competitors, Adams was widely respected and benefited from the lack of other prominent Northern political leaders. Adams knew that his own victory in the contingent election would require the support of Clay, who wielded immense influence in the House of Representatives. Though they were quite different in temperament and had clashed in the past, Adams and Clay shared similar views on national issues. By contrast, Clay viewed Jackson as a dangerous demagogue, and he was unwilling to support Crawford due to the latter's health issues. Adams and Clay met prior to the contingent election, and Clay agreed to support Adams in the election. Adams also met with Federalists like Daniel Webster, promising that he would not deny governmental positions to members of their party. On February 9, 1825, Adams won the contingent election on the first ballot, taking 13 of the 24 state delegations. Adams won the House delegations of all the states in which he or Clay had won a majority of the electoral votes, as well as the delegations of Illinois, Louisiana, and Maryland. Adams's victory made him the first child of a president to serve as president himself. After the election, many of Jackson's supporters claimed that Adams and Clay had reached a "Corrupt Bargain" in which Adams promised Clay the position of Secretary of State in return for Clay's support. In 1836, partially in response to Adams' consistent presentation of citizen petitions requesting the abolition of slavery in the District of Columbia, the House of Representatives imposed a "gag rule" that immediately tabled any petitions about slavery. The rule was favored by Democrats and Southern Whigs but was largely opposed by Northern Whigs like Adams. In late 1836, Adams began a campaign to ridicule slave owners and the gag rule. He frequently attempted to present anti-slavery petitions, often in ways that provoked strong reactions from Southern representatives. Though the gag rule remained in place, the discussion ignited by his actions and the attempts of others to quiet him raised questions of the right to petition, the right to legislative debate, and the morality of slavery. Adams fought actively against the gag rule for another seven years, eventually moving the resolution that led to its repeal in 1844. Adams and Louisa had three sons and a daughter. Their daughter, Louisa, was born in 1811 but died in 1812. They named their first son George Washington Adams (1801–1829) after the first president. This decision upset Adams's mother, and, by her account, his father as well. Both George and their second son, John (1803–1834), led troubled lives and died in early adulthood. George, who had long suffered from alcoholism, died in 1829 after going overboard on a steamboat; it is not clear whether he fell or purposely jumped from the boat. John, who ran an unprofitable flour and grist mill owned by his father, died of an unknown illness in 1834. Adams's youngest son, Charles Francis Adams, was an important leader of the "Conscience Whigs," a Northern, anti-slavery faction of the Whig Party. Charles Francis served as the Free Soil Party's vice presidential candidate in the 1848 presidential election and later became a prominent member of the Republican Party. Adams's personality was much like that of his father, as were his political beliefs. He always preferred secluded reading to social engagements, and several times had to be pressured by others to remain in public service. Historian Paul Nagel states that, like Abraham Lincoln after him, Adams often suffered from depression, for which he sought some form of treatment in early years. Adams thought his depression was due to the high expectations demanded of him by his father and mother. Throughout his life he felt inadequate and socially awkward because of his depression, and was constantly bothered by his physical appearance. He was closer to his father, whom he spent much of his early life with abroad, than he was to his mother. When he was younger and the American Revolution was going on, his mother told her children what their father was doing, and what he was risking, and because of this Adams grew to greatly respect his father. His relationship with his mother was rocky; she had high expectations of him and was afraid her children might end up dead alcoholics like her brother. His biographer, Nagel, concludes that his mother's disapproval of Louisa Johnson motivated him to marry Johnson in 1797, despite Adams's reservations that Johnson, like his mother, had a strong personality. Though in his youth Adams wore a powdered wig he abandoned this fashion and became the first president to adopt a short haircut instead of long hair tied in a queue and to regularly wear long trousers instead of knee breeches. 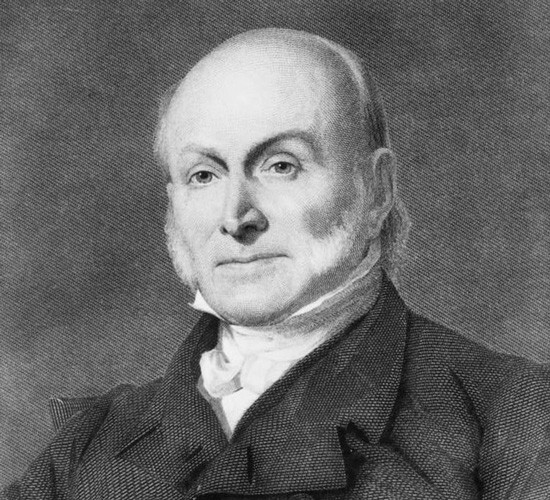 It has been suggested that John Quincy Adams had the highest I.Q. of any U.S. president. Dean Simonton, a professor of psychology at UC Davis, estimated his I.Q. score at 165.